Safety is crucial for a productive work environment. If you lead or manage personnel in a factory or other type of manual work, you have to make sure that they are safe for both ethical and legal reasons. But what happens if they require glasses with prescriptions? The key is to not leave them on their own. Instead, provide as much assistance as you can in making sure that they go to work and come home at night as safe as possible. This type of environment doesn’t just promote productivity, but also ensures that you attract higher-quality workers, stay out of legal trouble, and can sleep safely at night. That, in turn, requires organization. Buying individual pairs of safety glasses can be as complex as having each of them buy their own is convenient. What if you could combine the two to make it more effective and efficient for everyone involved? That’s where an employee prescription safety glasses program comes in. You manage the purchasing process centrally, but streamline it to maximize budget and resource effectiveness. Here are 10 steps you can take to accomplish both of these goals. First, you have to familiarize yourself with the exact guidelines and regulations that guide safety eyewear for your company. You might already be familiar with them; even then, it makes sense to reacquaint yourself. The current standard, ANSI Z87, is absolutely crucial to follow in any environment in which safety glasses are necessary. Your organization’s set up determines how closely you are involved in monitoring and enforcing that standard. Still, even as you move to streamline the process, make yourself intimately familiar with what that actually entails. That way, every step below – from talking to your employees to selecting a vendor – can be more informed and has a better chance of success. Next, and once you know what standards you have to follow, talk to your employees about general safety. Again, advanced companies tend to have this process in place already. In that case, make sure you direct the conversation specifically toward eyewear safety. The goal here is understanding exactly what your employees know and don’t know about the glasses they should or are putting on your face. Do they understand safety standards? 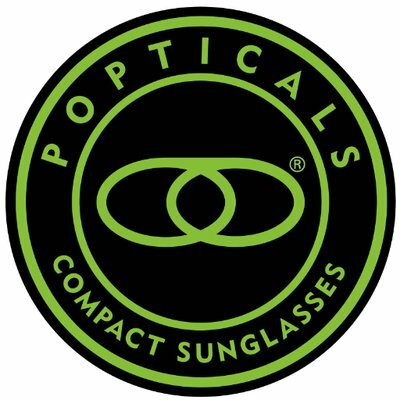 Can they tell the difference between the different lens materials and eyewear options? This meeting should not just get you started in building a program, but also a more general idea of their current knowledge level and where they might need additional education. In your meeting with your team or shortly after, you should also take stock of your current inventory among your employees: who among them is already wearing prescription safety glasses? Answering this question can solve a variety of closely related goals. First, naturally, you better understand the existing need for safety glasses. In addition, you can get valuable information on the various brands and processes your team had to go through to take care of their safety needs. Finally, you can begin to communicate how streamlining the process in the future can alleviate everyone, including your team. Now, it’s time to better understand just what type of safety glasses your team will need. And again, the answer will vary wildly based on your industry. Naturally, a metalworking company will need different glasses for welding than a landscaping company protecting their eyes from grass clippings. Some of that distinction (like the example above) is obvious. Others might not be. Talking to your employees will give you a good first idea of the type of environments they work in, and the eyewear they need. But that should only be the first step. Do your own independent research, and look for the types of frames and lenses specifically designed for the jobs at hand. You might notice that even in the fifth step, we haven’t quite gotten to the actual ordering or even vendor selection for safety glasses yet. That’s because a comprehensive employee prescription safety glasses program is more than just about the glasses. It should be more comprehensive in ensuring a higher degree of safety among all of your workforce. That means, among other things, setting strict safety policies going forward. Specify exactly what standards eyewear has to follow, in ways that’s easy to understand for your team. Highlight the situations in which this type of eyewear is optional, compared to essential. At the same time, always make sure that the policies you set are in line with employee expectations and needs to maximize the chances of successful adoption. Only now, after taking all of the steps above in preparation, should you actually begin to look for potential safety eyewear options. And even now, that research should be vendor-agnostic. 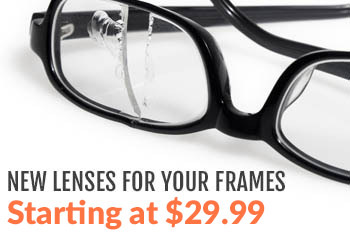 Simply inform yourself about the various types of materials, lenses, and frame shapes available for your company. This step may seem superfluous, but the opposite is the case in reality. 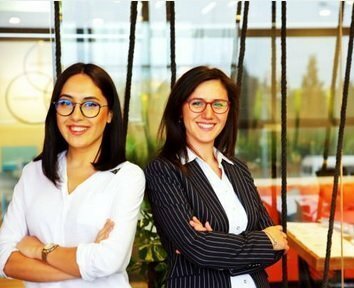 Keeping in vendor agnostic allows you to hone in on the exact type of eyewear your company and its employees need, before you begin to be convinced otherwise by effective sales messaging. The research here is simply to find the options according to all of the details you narrowed down in the above steps. Now, it’s finally time to select a vendor. If you have taken all of the above steps already, this step will be surprisingly simple. You already know almost exactly what you’re looking for, so you’re only looking for merchants that offer corporate safety eyewear programs within your specifications and needs. Still, it makes sense to vet potential vendors. That means calling a salesperson, mentioning the program you need, and hearing more details about it on the phone. Make sure that you understand anything from the sample kit (more on that below) to the nature of the contract to be signed. Online reviews help you distinguish between vendors, but you’re best off asking for client references so you can ensure the credibility of any vendor you might work with. Once you’ve found a vendor that matches your exact needs and preferences, it’s time to go back to the drawing board. Part of getting employee buy-in is making sure that you do not simply send them the glasses you think are best for them. Within the parameters that you’ve defined above, you should always be able to give them at least some degree of choice. The best way to accomplish that is working with the vendor to get a sample kit of different safety eyewear options. That way, each member of your team can go through and pick the safety glasses that best fit their preferences and needs. Comfort, of course, is key if you want to avoid your employees secretly taking off their glasses when they think nobody is looking. A sample kit can minimize that potential problem. Next, it’s time to take your orders. Based on the sample kit, ask your employees to fill in an order sheet with their preferences. Be sure to collect current and accurate prescriptions, as well. After all, you have to make sure that the glasses arriving will not just be comfortable and safe, but also allow for clear vision among all professionals wearing them. Depending on the program you choose, that process might be simple or complicated. Going for simplicity, of course, is key. After all, streamlining the process was one of the core goals going into this article. A single, centralized order form tends to be your best option in getting the job done right with minimum inconvenience to either you or your team. Finally, work with your vendor to understand your relationship moving forward. After all, chances are you will not be able to use the prescription safety eyewear in your company forever. Prescriptions change, and regulations or company policies may change as well. Now is the time to make sure you understand exactly what will and should happen once change becomes inevitable. Look for a vendor that offers returns and warranties, as well. Your employees need to be able to return any glasses that break or otherwise do not function correctly. Future discounts may also be possible in a long-term contract that includes multiple re-orders. Building a successful employee prescription safety glasses program can be complex. Of course, that doesn’t mean it is impossible. Our corporate safety eyewear plan, for example, streamlines the process for you. Take the above steps, and you will be on your way to long-term success and safety. Contact us for more information about the process, or to set up the program in your organization today.